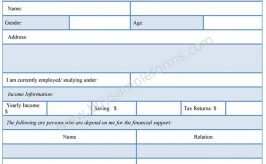 A financial verification form is provided where stating financial background of an individual is needed for the professional or personal use. The form is very common in the educational field, especially when a student applies for the scholarship program. 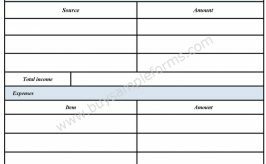 The form helps to inform the concerned authority about an individual’s financial statement. 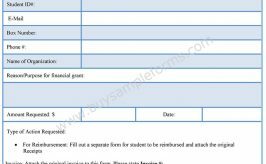 The form works as a financial aid verification form and needed, especially where some financial privileges is involved. 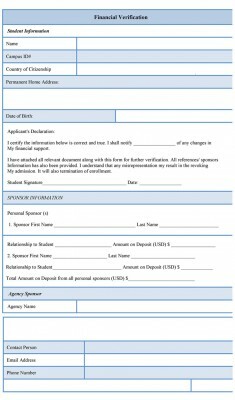 The form can be used in the employment field, where an employee writes this form in order to seek some financial aid from the concerned department of a company. Before that, the sponsor should go for the legal verification about the financial agreement. Financial verification form is also used by the landlord to check the background of a rental to ensure that he/she is able to pay the rent. 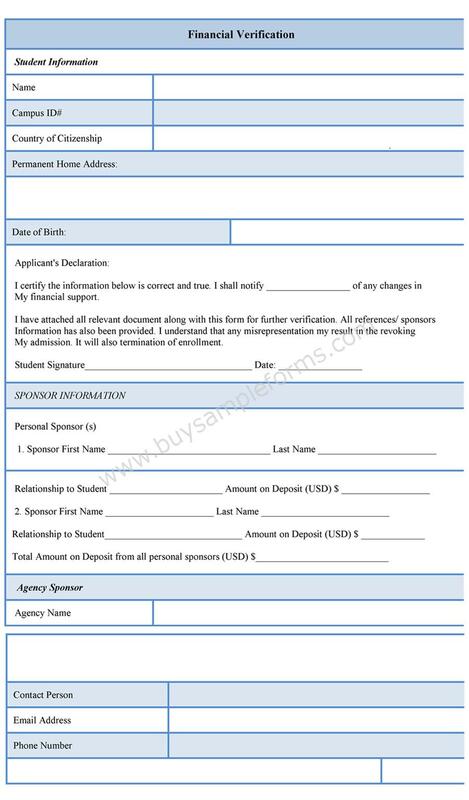 You can download the form in PDF and word format and as per your use, you can customize the document.